What’s Living in Your Bed? Mattress & pillows are the number one place to find dust mites. People spend hours every night in a nice warm bed. Our bodies sweat and shed skin thus, creating the ideal environment for dust mite infestation. An unprotected mattress can have as many as 2 million dust mites inside it. It only takes 4 months for an unprotected mattress to become infested. Do you find yourself waking up every morning with a blocked nose or a headache? 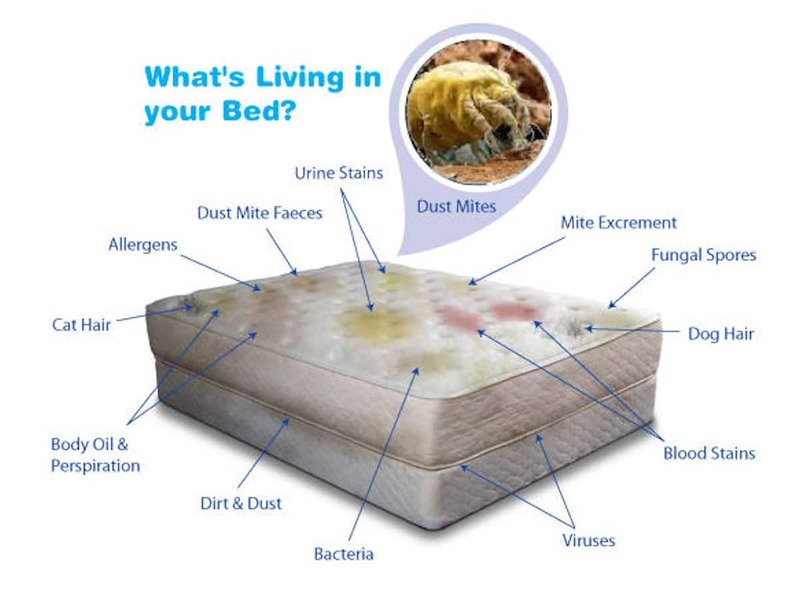 Chances are, you suffer from a reaction to dust mites in your bedding. 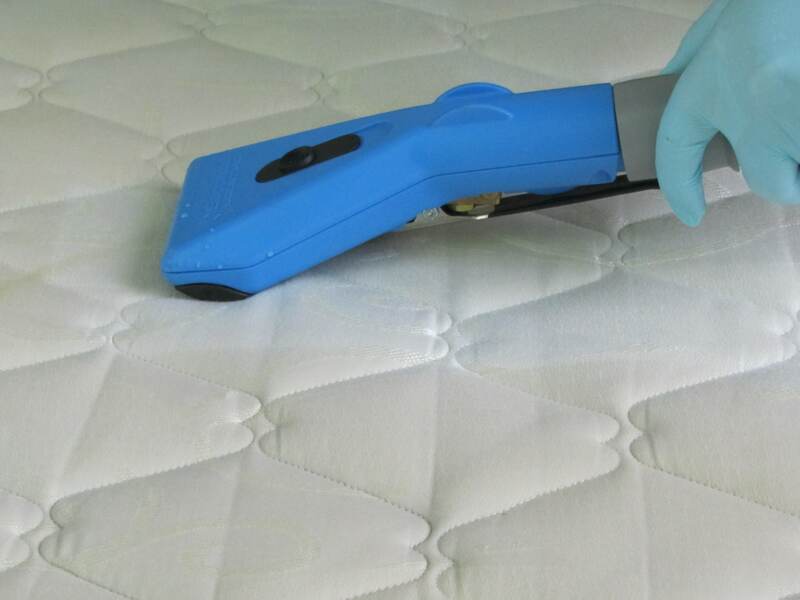 Our process for Mattress Cleaning Melbourne will completely clean, deodorize and sanitise your mattress with a soap free, green, hypo-allergenic product that is safe for use around individuals who suffer from allergies, asthma or chemical sensitivities, children, pets and our environment. Our Mattress Cleaning and Sanitising process will kill and remove dust mites and their allergy causing faeces. You should have Professional Mattress Cleaning performed at least once a year. Asthma or allergy sufferers should have mattress cleaning performed every 6 months. Our Allergy Relief Treatment for asthma and allergy sufferers is a proprietary product that works by denaturing the harmful proteins in dust mite faeces. The prosess uses a different approach as it is impossible to get rid of dust mites completely. Since it is the allergens in dust mite faeces which are the culprits, it is those allergens that need neutralising. The solution is to chemically alter the shape of the allergens in the faeces so that when inhaled or in contact with the skin, the body does not recognise them as a threat and no unpleasant symptoms occur. Schedule your Professional Mattress Cleaning Melbourne or Allergy Relief Treatment Today! 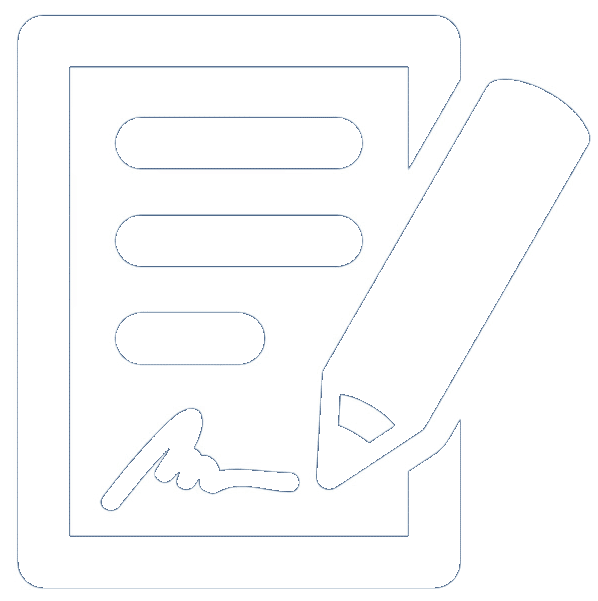 Call toll free on 1300 399 999 during business hours or Inquire Online.